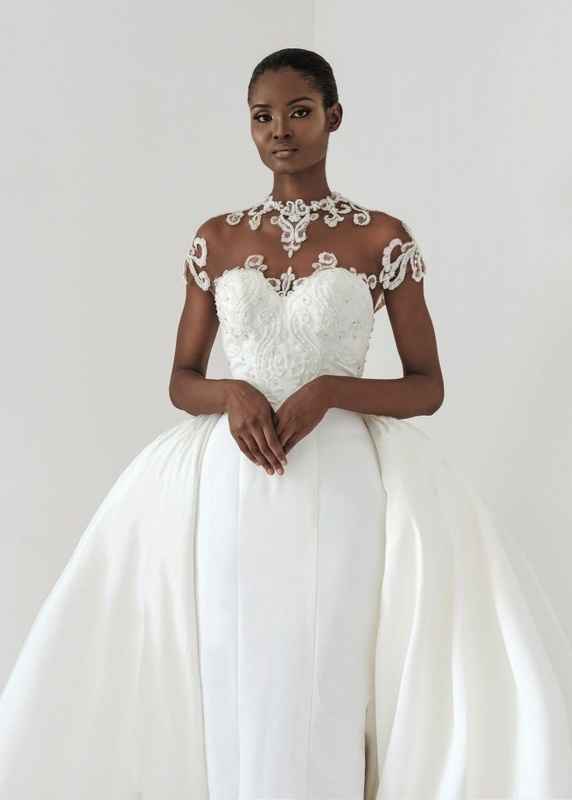 We are loving the latest fashions from Nigerian designer Andrea Iyamah Spring 2018 Bridal Collection. This collection consists of beautiful bridal wear with classic and elegant touches. Andrea Iyamah is a rising star in the Bridal industry and has been featured in fashion publications such as Ebony Magazine & Cosmopolitan. 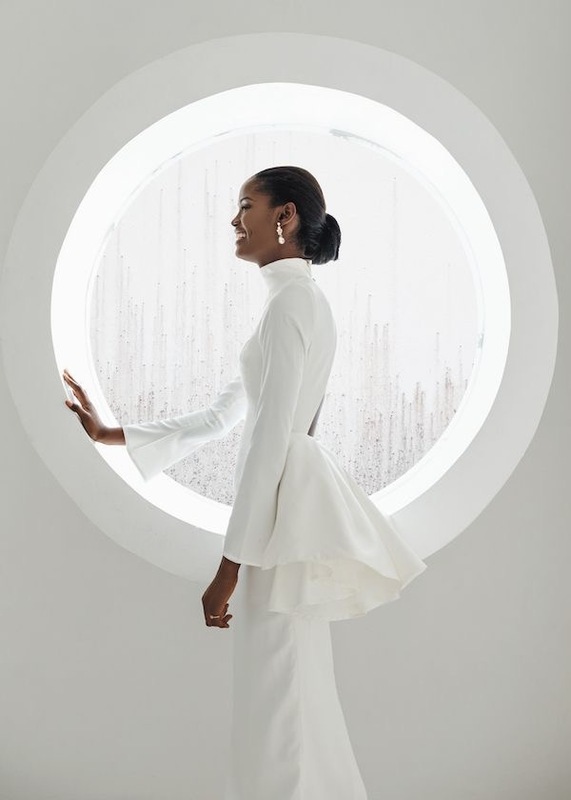 The beauty of her designs is that she manages to combine a very modern look yet somehow capturing the soft essence of a princess. 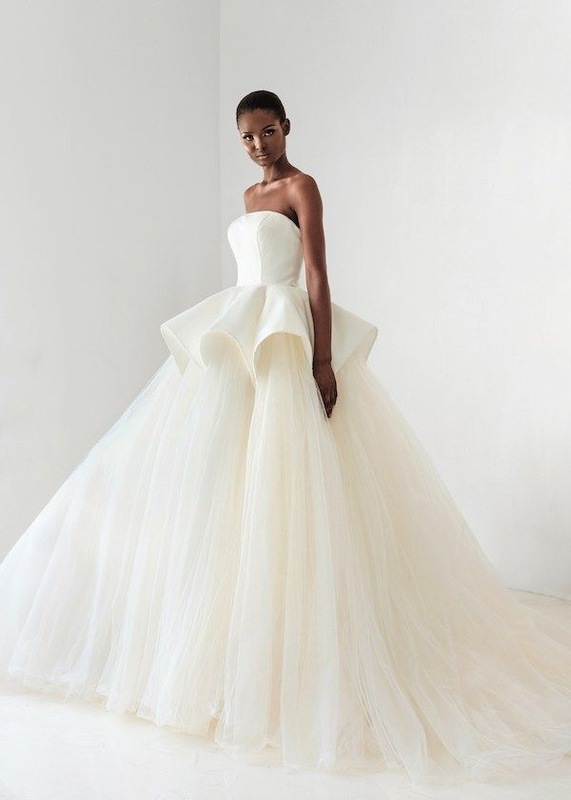 This year, the designer has added embroidered, floral necklines and sleeves, full tulle skirts, halter necklines and scalloped peplum bodices to enhance a clean yet dreamy look. 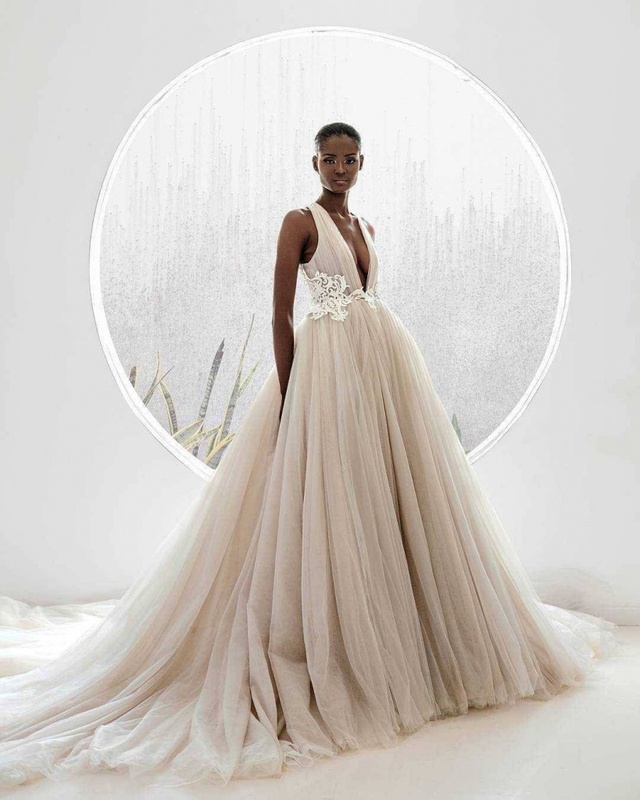 The 2018 bridal collection of Andrea Iyamah delicately compliments the grace and beauty of today’s bride, not compete with it. 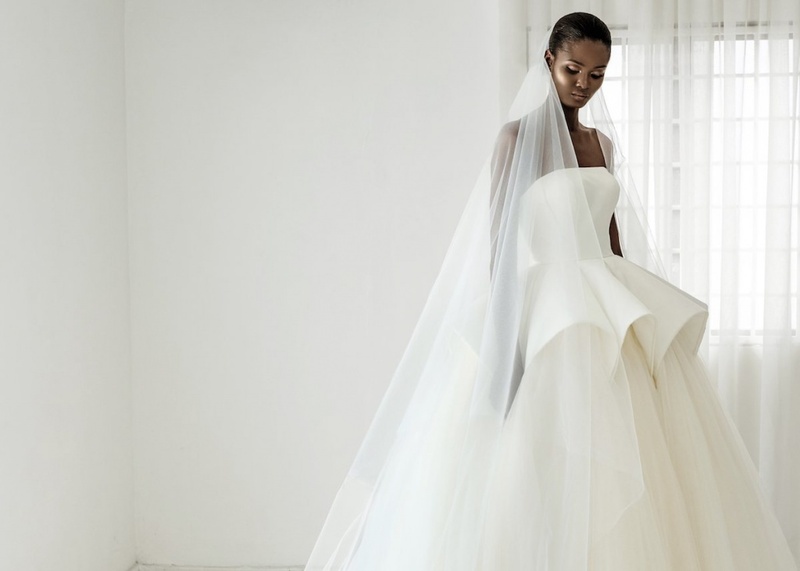 For more bridal collections and trends, head on over to our Wedding Dress Inspiration section!